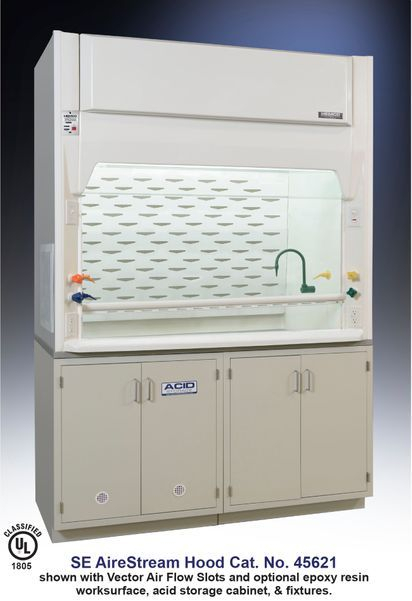 High efficiency, full duty fume hood in 48", 60", 72" and 96" widths. UniFlow SE AireStream Fume Hoods are designed for energy savings & maximum user protection. The aerodynamic face opening with airfoil provides uniform air flow through the fume chamber. A constant volume low flow hood with Vector Baffle System directs the air through the fume chamber to the bell shaped exhaust collar with minimal turbulence. Requires Remote Exhaust Blower. 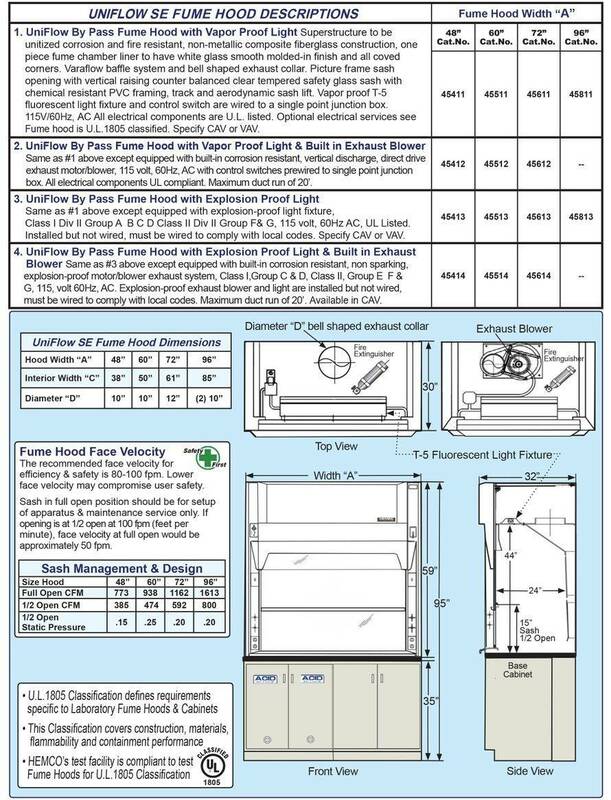 Fume hood is U.L. 1805 classified. UniFlow AireStream Vector Baffle System Features vector flow slots for low flow and high performance. 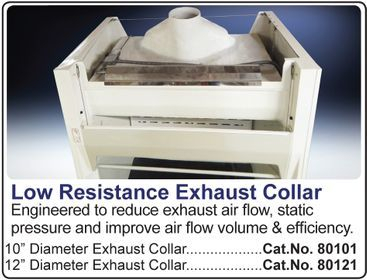 Maintains uniform air flow thru the baffle system to bell shaped exhaust collar outlet. Access Panel removable to access ducting connections, plumbing & electrical services from a single point electrical box,115V/60Hz AC operation. Energy efficient LED vapor proof light fixture with polished stainless steel reflectors, and light switch on left column, all factory installed. 28" Vertical Sash Height vertical moving sash for loading & unloading of fume hood. 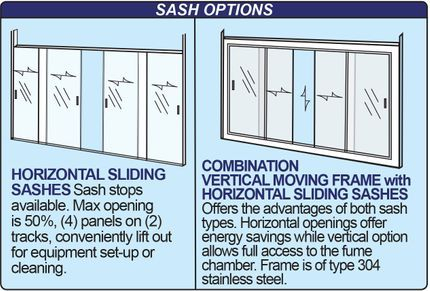 Sash is counterbalanced and connected with coated stainless steel cables, 3/16" tempered safety glass with chemical resistant non-metallic PVC framing track and aerodynamic sash lift. 35" Viewing Height for ease of access, unobstructed view of fume chamber, and working with tall apparatus and distillation grids. Ergonomic sash lift contoured for efficient air flow and ease of movement, standard equipment.